The only photo software you'll ever need! 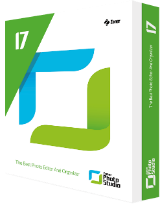 Zoner Photo Studio 17 PRO was available as a giveaway on March 21, 2016! The only photo software you will ever need. It is a user-­friendly Windows software, that brings every feature you need in a single package. 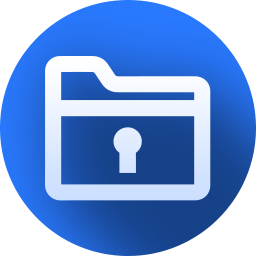 From importing photos onto your PC to organizing a photo archive, editing, sharing, and RAW files support. Almost every Zoner`s feature can be applied to batches of photos. For example, you can apply frame to 1000 vacation photos at once, resize them the size you need for a photo album, saving you time. RAW: An improved, faster RAW module with start-­to-­finish processing of your DSLR's RAW files, with lots of practical perks such as RAW+JPEG stacking. How would you improve Zoner Photo Studio 17 PRO? Like what you see and want even more? You can get special discount price (just $49 instead of regular $99) for Zoner Photo Studio 18. Buy link will be active until March 21st, 23:59 New York time. Zoner Photo Studio 18 offers non­ destructive edits, HD video creator (you can do Timelapses! ), safe and direct photo sharing, new standalone Viewer and many other tools and effects. please pay more attention to reading Readme file! There is no registration key for the program offered today! You just need to enter your email and it gets registered. thank you for your response. Believe or not, I read it carefully and indeed you're right. But only in second sentence, that we have to enter email. No one says there will be no activation code, especially when Zoner program itself have still Activation option open and active. Anyway, thanks for clarification. Dear GOTD team, thank you for your response. Believe or not, I read it carefully and indeed you're right. But only in second sentence, that we have to enter email. No one says there will be no activation code, especially when Zoner program itself have still Activation option open and active. Anyway, thanks for clarification. In the activation pop-up, if you select the lower push-pin and highlight the Pro option, if kind of confirms you are activated and can manage your licenses on their server in a new pop-up that "pops-up". Matus, In the activation pop-up, if you select the lower push-pin and highlight the Pro option, if kind of confirms you are activated and can manage your licenses on their server in a new pop-up that "pops-up". "It apears that Kaspersky doesnt like something either in your exe or the GOTD repackaged exe. Even though Kaspersky is turned off it seems it is never really OFF. 6/Once logged in (pin doesnt work in safe mode have to use password) run Setup.exe from the 3 files you placed on desktop install and activate via the browser page that opens. Once rebooted you can do away with the Ethernet cable if you were using wifi before." An inquisitive and resourceful customer has informed me of the following solution for Kaspersky users who are getting the "installation corrupt" messages: "It apears that Kaspersky doesnt like something either in your exe or the GOTD repackaged exe. Even though Kaspersky is turned off it seems it is never really OFF. In case you get someone else with the same problem the easy solution is to :- 1/extract Zip containing GOTD files to desktop 2/Connect computer with Ethernet cable (wont work with wifi) 3/Click Start/All Apps/Windows Administrative Tools/System Configuration 4/Click Boot tab then under boot check safe boot and network 5/Click ok and restart 6/Once logged in (pin doesnt work in safe mode have to use password) run Setup.exe from the 3 files you placed on desktop install and activate via the browser page that opens. 7/Click Start/All Apps/Windows Administrative Tools/System Configuration 8/Click Boot tab and uncheck safe boot and network click ok and restart Once rebooted you can do away with the Ethernet cable if you were using wifi before." I have Kaspersky and what works for me is, switching off Kaspersky and restarting computer. Then the GOTD program can be installed. Even if Kaspersky is then switched on once the program installation has started, it does not stop the installation and allows it to complete. Zoner Software Customer Support, I have Kaspersky and what works for me is, switching off Kaspersky and restarting computer. Then the GOTD program can be installed. Even if Kaspersky is then switched on once the program installation has started, it does not stop the installation and allows it to complete. Yes, that worked . I am using Zonealarm av which uses the Kaspersky av engine. Just disabling it DOESN'T work! Zoner Software Customer Support, Thanks. Yes, that worked . I am using Zonealarm av which uses the Kaspersky av engine. Just disabling it DOESN'T work! Thank you for that cool program. So, since I have no code, is it activated or not? I did the activate using Zoner account, which was apparently created with my email, and I get this: https://gyazo.com/a37b0569f574622736a90be6469e6917 So, since I have no code, is it activated or not? You replied to me (just another user like you), so I will attempt to help. In the upper right hand corner, select the pull-down "help", than license. Instead of entering a license code, select the second option "choose a license activated earlier". Click on the word panel "choose", which would be "Pro". "We've activated your Zoner Photo Studio 17". "Thank-you for your purchase. We wish......"
click the button lower right "Finish". You have now confirmed that your installation is activated. Sooner or later they will send you emails inviting you to their site, where you will log into their server using the email ID you already sent them. Kahtana Kahtana, You replied to me (just another user like you), so I will attempt to help. Startup Zoner. In the upper right hand corner, select the pull-down "help", than license. Instead of entering a license code, select the second option "choose a license activated earlier". Click on the word panel "choose", which would be "Pro". The pop-up border title should say: "We've activated your Zoner Photo Studio 17". And in the box says: "Thank-you for your purchase. We wish......" click the button lower right "Finish". You have now confirmed that your installation is activated. Sooner or later they will send you emails inviting you to their site, where you will log into their server using the email ID you already sent them. Hi, i had problem with instalations - install proces wrote me some files problem and instalations was stopped - is there some solutions? I downloaded this last night (at 1 am) and thus thought I had all day today to install it. I guess you are not Eastern time. I planned to install it tody, but now I find it is too late. I did obtain it before it expired, but failed to realized I had had to install it then. It was 1 am - I went tp bed. Any way I can still mage it good? Well this is mad, I really wanted this software, but repeated messages of "this is corrupted" made me give up. I now read that I have to disable my Kaspersky to install (seriously why?) so I tried it but the offer is now over. It is possible to have an installer that doesn't clash with Kaspersky and end up in this kind of problem. Well this is mad, I really wanted this software, but repeated messages of "this is corrupted" made me give up. I now read that I have to disable my Kaspersky to install (seriously why?) so I tried it but the offer is now over. It is possible to have an installer that doesn't clash with Kaspersky and end up in this kind of problem. This is awesome software. I'm a photo semi-pro, very experienced with digital imaging. I have Photoshop and Lightroom and won't be giving them up. However, as far as importing, ease of use, etc., this is the program I prefer. It won't do everything Photoshop and Lightroom can do, but many people don't need all that. I use this along side those programs. I'll very likely purchase the latest version, not because I have to, but simply because I want to support the people who make this wonderful program available. And a note to all giveawayoftheday people, I never would have known about Zoner unless I had found it here. Zoner, you are awesome! Keep posting slightly out of date programs to giveaway, it works to find people willing to actually pay. This is awesome software. I'm a photo semi-pro, very experienced with digital imaging. I have Photoshop and Lightroom and won't be giving them up. However, as far as importing, ease of use, etc., this is the program I prefer. It won't do everything Photoshop and Lightroom can do, but many people don't need all that. I use this along side those programs. I'll very likely purchase the latest version, not because I have to, but simply because I want to support the people who make this wonderful program available. And a note to all giveawayoftheday people, I never would have known about Zoner unless I had found it here. Zoner, you are awesome! Keep posting slightly out of date programs to giveaway, it works to find people willing to actually pay. Good editor with many features. I have W7-64bit Home Premium. I have downloaded for years before, but lately, after downloading, I get the files: 'Read me ', Setup (Application) and Setup (GCD), but when selecting the Setup(App), I get the message of program already activated. When I select Setup(GCD), the screen changes to "About:blank" and "Blank Page." I have missed a number of programs when this appears, and I CANNOT get past or through it. going back to all the steps again, I end up downloading additional copies of the Setup(GCD) (2), (3), or more. What do I do to get the program to install? HELP!!! Super-easy installation and activation on my Win 7 x64. Looks like a really useful program! Thanks so much GOTD and Zoner!!! Anyone know why ZPS 17 has a "Layer" menu but does not actually support layers? Layer menu just seems to apply the listed objects to the single "layer". Is it called Layer to fool inexperienced users that the software does support layers when by normal image editing software conventions it does not? I have for many years now been using this GOTD site and enjoyed the many wonderful offers of FREE software it has had, I am not sure what is going on BUT some of the offers of recent weeks I have been unable to get. I never used to have any problems downloading and activating the Software. the only thing is seems to do is take me to the " GOTD activated " Page of the site. I have missed some very good offers like this, and I don't have a clue why it is not working like it used to, Am I the only one having this problems ? I am running Windows 10 and up to the end of last year Every Download I had from GOTD worked fine and as it should, but since the start of 2016 it has been very hit and miss of the 20 I have downloaded I have only managed successfully to install and activate 4 the others have had the same problem as stated above. Please can anyone let me know if this is happening to them too or is there some sort of fix or workaround to this problem ? thanks in advance for any info or help in this matter. Hello GOTD, I have for many years now been using this GOTD site and enjoyed the many wonderful offers of FREE software it has had, I am not sure what is going on BUT some of the offers of recent weeks I have been unable to get. I never used to have any problems downloading and activating the Software. But for some time some if not most have failed :( They seem to download OK but... when I run the setup it does nothing no installing at all ...... the only thing is seems to do is take me to the " GOTD activated " Page of the site. I have missed some very good offers like this, and I don't have a clue why it is not working like it used to, Am I the only one having this problems ? I am running Windows 10 and up to the end of last year Every Download I had from GOTD worked fine and as it should, but since the start of 2016 it has been very hit and miss of the 20 I have downloaded I have only managed successfully to install and activate 4 the others have had the same problem as stated above. Please can anyone let me know if this is happening to them too or is there some sort of fix or workaround to this problem ? thanks in advance for any info or help in this matter. after a LOT of messing about and taking me about an hour yesterday I finally managed to get it to install. and run on my Windows 10 64bit ......I had to jump through so many hoops to get it installed. It's great to see a software developer/publisher watching these comments and jumping in with answers when required. It sets a good example for others. As for the software, I've had a quick look at some reviews and it seems that it's considered to be superior to others in its price range. It's great to see a software developer/publisher watching these comments and jumping in with answers when required. It sets a good example for others. As for the software, I've had a quick look at some reviews and it seems that it's considered to be superior to others in its price range. From what I can see on zoner website this is the last version to support XP and Vista. ZPS 18 requires Win 7 and above. "Check for updates on system startup"
As a normal update will invalidate the giveaway license and if its to 18 will fail to install on Vista or earlier. Which is a dissapointment as I was looking forward to doing an experiment with ZPS18 but hey I guess I can't always win. I must say that I am unconvinced that this is the "The only photo software you'll ever need!" or that I'll need, the effects brush seems very limited in operation, I'd prefer the brushed effects to include the .8bf photoshop plugin effects too. From what I can see on zoner website this is the last version to support XP <b>and</b> Vista. ZPS 18 requires Win 7 and above. Also do not forget to go into Settings and on the Integration sheet deselect: "Check for updates on system startup" As a normal update will invalidate the giveaway license and if its to 18 will fail to install on Vista or earlier. Which is a dissapointment as I was looking forward to doing an experiment with ZPS18 but hey I guess I can't always win. I must say that I am unconvinced that this is the "The only photo software you'll ever need!" or that I'll need, the effects brush seems very limited in operation, I'd prefer the brushed effects to include the .8bf photoshop plugin effects too. My need for image processing is only occasional, but when I want to do something it's usually far too time consuming and complicated for my own good. So something which really, really impresses me is an image studio which is not just fully featured but so well designed and supported that it can be used intuitively, and with confidence and pleasure, by a casual user. I have nothing but praise for Zoner, a wonderful company who don't just offer top notch software but also communicate with their customers extremely well. Thanks a million for this giveaway. PS to the GOTD team : in recent times I've noticed that most comments on your giveaway pages are being voted down for no apparent reason. I suggest that you remove the "Did you find this comment useful?" feature. I don't think that it has ever served much purpose, and currently it is just unduly negative. My need for image processing is only occasional, but when I want to do something it's usually far too time consuming and complicated for my own good. So something which really, really impresses me is an image studio which is not just fully featured but so well designed and supported that it can be used intuitively, and with confidence and pleasure, by a casual user. I have nothing but praise for Zoner, a wonderful company who don't just offer top notch software but also communicate with their customers extremely well. Thanks a million for this giveaway. PS to the GOTD team : in recent times I've noticed that most comments on your giveaway pages are being voted down for no apparent reason. I suggest that you remove the "Did you find this comment useful?" feature. I don't think that it has ever served much purpose, and currently it is just unduly negative. I've only worked with this program a little, but it seems to have a lot of functionality. As an image viewer, it's superior. I'm afraid I'm locked in the PhotoShop so I haven't used its editing features very much, but they seem comparable. The Zonerama email newsletter is excellent. Lots of good technical and practical info for photographers, and not pushed toward their product, either. I've only worked with this program a little, but it seems to have a lot of functionality. As an image viewer, it's superior. I'm afraid I'm locked in the PhotoShop so I haven't used its editing features very much, but they seem comparable. The Zonerama email newsletter is excellent. Lots of good technical and practical info for photographers, and not pushed toward their product, either. I give this one 11 out of 10. Zoner Photo Studio (ZPS) is fantastic. I bought version 17 of this software last year after using the GOTD version 15 offered here a while back. They are currently on version 18, but I probably will not upgrade until version 19. ZPS reminds me of Adobe Lightroom. It is the perfect software for organizing and editing my photos, and it does so without all the "extras" that get in the way when using a regular image editing program like Photoshop or GIMP. It works fast enough for me and supports multiple monitors with various layouts. As a compliment to the software, the Zoner Labs team puts a lot of work into their website and their digital magazine "Zonerama". You can tell it was put together by people who love photography. They cover how to properly use your camera hardware and ZPS software. Plus, they often have articles on things like lighting and composition. As you can tell, I'm pretty impressed with their website. Thanks GOTD for posting this. Hopefully it leads more people to support ZPS, as they have a fantastic software offering. I give this one 11 out of 10. Zoner Photo Studio (ZPS) is fantastic. I bought version 17 of this software last year after using the GOTD version 15 offered here a while back. They are currently on version 18, but I probably will not upgrade until version 19. ZPS reminds me of Adobe Lightroom. It is the perfect software for organizing and editing my photos, and it does so without all the "extras" that get in the way when using a regular image editing program like Photoshop or GIMP. It works fast enough for me and supports multiple monitors with various layouts. As a compliment to the software, the Zoner Labs team puts a lot of work into their website and their digital magazine "Zonerama". You can tell it was put together by people who love photography. They cover how to properly use your camera hardware and ZPS software. Plus, they often have articles on things like lighting and composition. As you can tell, I'm pretty impressed with their website. Thanks GOTD for posting this. Hopefully it leads more people to support ZPS, as they have a fantastic software offering. It is NOT compatible with windows 10 64 bit. Could only install it in windows 7 compatibility mode. It is NOT compatible with windows 10 64 bit. Could only install it in windows 7 compatibility mode. John, Works fine on mine. John, No problem on my Windows 64 bit either. Program works great - as did the previous versions given away here. It is a very fine photo viewer and editor. The program works great. One of the best I got recently from you. Tried 3 times to install with no success. I rec'd the successful activation popup after being directed to the GAOTD site, but can'tI the applcation anywhere. I did find 3 copies of the file AppCrash_setup.exe_Zoner _c7e7e3e7627aff5c85c06fed367a3f3545f69_74ff8db5. How do I get past this? Tried to DL this program said link was sent to my email, It has been over an hour and a half and still no link. Ken, did you hit the big green button for download on this page? Because that will download the zipped package directly. Earl, The big green download now link does NOT currently download the zip directly, it launches the share or request link by email overlay. This error has happened on a few occasions now. When I give me email to receive the download link and then try and run the programme after the download all that happens is the Giveaway Activation splash screen comes up saying the programme is activated - The giveaway programme does not install to activate?? Anyone else found this issue? Dave, I found solution below in discussion. I turned off my antivirus temporarily, then I ran setup.exe. This helped me. Or you can try to boot into "Safe mode with networking" - see below. Dave, I found solution below in discussion. I turned off my antivirus temporarily, then I ran setup.exe. This helped me. Or you can try to boot into "Safe mode with networking" - see below. Thank you for this download. Zoner is a great program and I'm so pleased to get the opportunity to try it out like this. I have now successfully installed it on my Windows 10 PC and received a popup confirmation of activation. I used the custom install option so I could check where it was being placed. Thank you for this download. Zoner is a great program and I'm so pleased to get the opportunity to try it out like this. I have now successfully installed it on my Windows 10 PC and received a popup confirmation of activation. I used the custom install option so I could check where it was being placed. Am I supposed to receive a license code after I provide my email address or will Zoner use my previous license? Just enter your email address and that's it, You're registered. Nothing else needed. dan, Just enter your email address and that's it, You're registered. Nothing else needed. Installs fine in Win7-64 but doesn't make an entry in the start menu, which is where I like it, not the launch bar and not a desktop icon, which I unchecked, hoping it would create the usual start menu entry. Since this is 17 Pro Build 13, what are the major improvements from version 17 Pro Build 12. I have 17 Pro build 12, but don't want to install this one if there's not much difference. Can any one help please, Thanks. Build 13 does not contain major improvements relative to build 12. What's new in this zps 17 build 13 compared to build 12? <b>Zoner Software Customer Support</b>, What's new in this zps 17 build 13 compared to build 12? I already have version 17 build "12"; does anybody know what build-number this is? dan, this is version 17, build 13. I'm guessing it would probably not be worth your while to update your existing version. If it were me I would stick to my paid for version. Is this a lifetime license, or is it limited to a fixed period of time (ie 1 year)?? This software is pre-activated, but does not come with a license. You may leave it installed for as long as you like, and it will not stop working, but you will not be able to install it again after the giveaway. Wrong! If you can install GOTD software into Sandboxie, like Zoner Photo Studio 17, all you have to do is save all the contents of Sandboxie, using 'explore contents' and you can reinstall manually. Easy to do. Zoner Software Customer Support, Wrong! If you can install GOTD software into Sandboxie, like Zoner Photo Studio 17, all you have to do is save all the contents of Sandboxie, using 'explore contents' and you can reinstall manually. Easy to do. Zoner Software Customer Support, what about updates ? You should not teach people how to cheat the system on this forum. It is not ethical. People work hard on this software, and are trying to attract business by this generous offer. Drumpf, You should not teach people how to cheat the system on this forum. It is not ethical. People work hard on this software, and are trying to attract business by this generous offer. I read all the great reviews and decide to install this photo software and learn how to do more with my collection of photos. Thanks to Zoner Inc, Giveawayoftheday.com team, and our fellow members who not only download and test these programs but also take the time to tell the rest of us the good, the bad and sometimes... even the ugly. John M.
On Win10 running as administrator and not, setup runs and says activated, opens giveaway web page, but the installation program never starts, even in compatibility modes Win7 or Win8. Would have liked this on my Win10 machine but, alas, it will not install..
On Win10 running as administrator and not, setup runs and says activated, opens giveaway web page, but the installation program never starts, even in compatibility modes Win7 or Win8. Would have liked this on my Win10 machine but, alas, it will not install..
GWS, That is exactly what setup is doing on my system also. In all these years I have never run into a case like this with GOTD. Could it just be Win 10? I had Win XP before. Have you gotten it to install in Windows 10? It is doing the same thing to me. GWS, Have you gotten it to install in Windows 10? It is doing the same thing to me. Any clue what could be wrong with the install file? I appear to have the same error messages trying to install on Windows 7 Pro. I re-downloaded, rebooted, and logged on as Administrator - still failed every time I tried to install. Looks like there is a problem with giveaway of the day setup files checking their availability in Windows 7 Pro. I have followed other tips from comments below and have managed to install it through Safe Mode with Networking. I hope that reading it and will address it to whom it may concern. Janet, Looks like there is a problem with giveaway of the day setup files checking their availability in Windows 7 Pro. I have followed other tips from comments below and have managed to install it through Safe Mode with Networking. I hope that reading it and will address it to whom it may concern. Same Problem AGAIN as both of you, and received the same error message. Also I temporarily disabled AVG antivirus, though had nothing to do with it. Have used Zoner Photo Studio for years too and had no problems installing version 16 when it was available. Perhaps Zoner or Giveaway Of The Day can rectify the problem and put it up again the next day so we do not miss out on this awesome program. Ewluka, & Janet, Same Problem AGAIN as both of you, and received the same error message. Also I temporarily disabled AVG antivirus, though had nothing to do with it. Have used Zoner Photo Studio for years too and had no problems installing version 16 when it was available. Perhaps Zoner or Giveaway Of The Day can rectify the problem and put it up again the next day so we do not miss out on this awesome program. Please let me know if there is a patch or another download to fix the issue.... Kind Regards, Jeff D.
PS; I am using Windows 7 Home Premium 32bit, so I think it's failing on other operating systems relevant to the error. Ewluka, Janet, PS; I am using Windows 7 Home Premium 32bit, so I think it's failing on other operating systems relevant to the error. Despite errors, app still opens. Not sure if any functionality is affected yet. Two pop-up errors while installing on HP Envy - Windows 10 / 64: 1. Unable to insert a line 2. External exception E06D7363 Despite errors, app still opens. Not sure if any functionality is affected yet. Also unable to install as "The setup files are corrupted. Please obtain a new copy of the program"
Tried downloading again, unzipping & install form a different folder, but still comes up with corrupt files message. Will not be able to install this tomorrow. GOTD team - any chance of extending this offer if/when this issue gets resolved. Would really like to get this software. Also unable to install as "The setup files are corrupted. Please obtain a new copy of the program" Tried downloading again, unzipping & install form a different folder, but still comes up with corrupt files message. Will not be able to install this tomorrow. GOTD team - any chance of extending this offer if/when this issue gets resolved. Would really like to get this software. Same here. Tried twice, once with Zonealarm on and once with it off. Same result - corrupted file message. Does anyone have a clue as to why some get it to install, and some of us have problems? Mine is Win7, 64-bit. Zoner Photo Studio installed very quickly with one issues on my desktop W10 64b SSD. I've been using photoshop for years and this program will easily give photoshop a run for it's money. It comes with more and better special effects without having to install additional plugins. This is a keeper a must have tool for any photographer. Thanks GOFTD. If it gives Photoshop a run for its money, where can I find layers? First screen: no mention of "Pro"
About and the word "Pro"
Downloaded, installed, and runs fine on my Win7/64 laptop. An excellent program as many have stated. I've used 2 previous versions and am glad to have this one. They have good info on the website, and the email magazine is often useful. Just a note on the installation process -- pay attention to the check boxes as you go along (select "Custom" under Installation type). For example you need to opt out if you don't want the program to phone home with usage statistics, and it will set itself as the default viewer for all supported file types, so you need to opt out if you don't want that. And about the registration -- Some of the confusion probably results from the standard GOTD box that pops up after every installation which says "Registration Successful" whether or not you've completed the process. Downloaded, installed, and runs fine on my Win7/64 laptop. An excellent program as many have stated. I've used 2 previous versions and am glad to have this one. They have good info on the website, and the email magazine is often useful. Just a note on the installation process -- pay attention to the check boxes as you go along (select "Custom" under Installation type). For example you need to opt out if you don't want the program to phone home with usage statistics, and it will set itself as the default viewer for all supported file types, so you need to opt out if you don't want that. And about the registration -- Some of the confusion probably results from the standard GOTD box that pops up after every installation which says "Registration Successful" whether or not you've completed the process. It seems that it IS supposed to be ok with Windows 10 and I have all the things it mentioned........64 bit, SSD hard drive...............More than enough memory, etc. My laptop is only a year old. As you mention in your other comment - yes, this software is Windows 10 compatible. Zoner Photo Studio has been my default photo app for years. In fact, seeing this giveaway, I just recommended it to my fiance. Should I uninstall Zoner Photo Studio 16 before installing this version. rww, You don't have too but I would. rww, I'd wait until this one installs correctly. It will import your settings during install, then you can uninstall 16. HOW do you get the program to import your settings? I know what is is SUPPOSED to do, yet in my cas it DID NOT HAPPEN. Dan O, HOW do you get the program to import your settings? I know what is is SUPPOSED to do, yet in my cas it DID NOT HAPPEN. Any insight appreciated. Dave, Somewhere in the install process there was an option to keep settings or start fresh (paraphrasing, of course). Afraid I can't help more than that. I've been using Zoner Photo studio in preference to my copy of Photoshop (the now free CS2) since we got the first giveaway Spring 2007. it's easy to use, has just about everything you need to edit, view, manage and now includes the ability to edit RAW images. I rarely use Photoshop now unless I need to do a lot of editing. I won the v15 pro version ages ago and purchased this Pro version last year and will almost certainly be upgrading to v18 soon as there are some excellent new additions to the program. Of all of the giveaways I've purchased after using them for a while (I always buy the ones i use frequently as I want the latest editions) this is my number one favorite program given away here. Thank you Zoner for continuing to support the giveaway project, it is very much appreciated. a massive thumbs up from me. 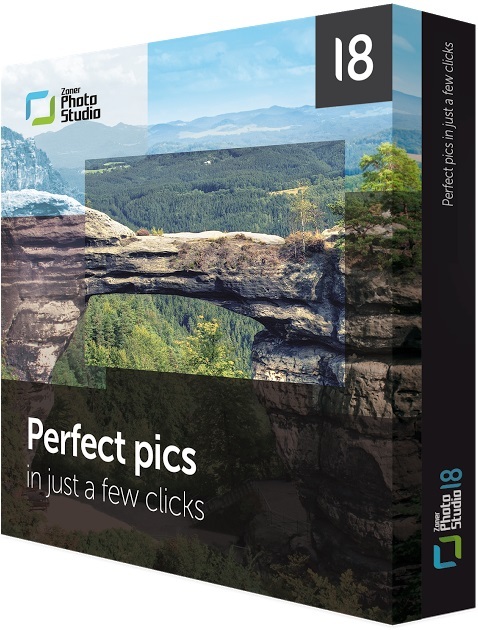 I've been using Zoner Photo studio in preference to my copy of Photoshop (the now free CS2) since we got the first giveaway Spring 2007. it's easy to use, has just about everything you need to edit, view, manage and now includes the ability to edit RAW images. I rarely use Photoshop now unless I need to do a lot of editing. I won the v15 pro version ages ago and purchased this Pro version last year and will almost certainly be upgrading to v18 soon as there are some excellent new additions to the program. Of all of the giveaways I've purchased after using them for a while (I always buy the ones i use frequently as I want the latest editions) this is my number one favorite program given away here. Thank you Zoner for continuing to support the giveaway project, it is very much appreciated. a massive thumbs up from me. Based solely on your comments I am installing today's give away. I have been using one release or another of Photoshop since 1997 and have never found a photo program that can trump it. Once in a while someone's software will have a feature that is quicker than PS but never really comes close over all. Thank you for your comments and I eagerly await the results. Whiterabbit-uk, Based solely on your comments I am installing today's give away. I have been using one release or another of Photoshop since 1997 and have never found a photo program that can trump it. Once in a while someone's software will have a feature that is quicker than PS but never really comes close over all. Thank you for your comments and I eagerly await the results. against CS2 Zoner 17 Pro should have a few plus points but the downside will always be that Zoner does not support working by layers. dMf, against CS2 Zoner 17 Pro should have a few plus points but the downside will always be that Zoner does not support working by layers. "I have been using one release or another of Photoshop since 1997 and have never found a photo program that can trump it." I think that it depends on what you're doing... Zoner's great for what it does, stuff like organization & basic image editing, with a reasonable foot print in Windows, & is fairly fast & easy to use. Corel's PaintShop Pro does more when it comes to editing, & can be pretty reasonable if you catch it on sale for ~$30 [or less], but IMHO it doesn't compete with Zoner when it comes to ease of use, & PSP's footprint is comparatively huge. Adobe's current solution OTOH is their photo subscription that runs $10/mo. You get Lightroom, which does the organization you find in Zoner, & very few apps can come close to Lightroom's handling of RAW files. And you get Photoshop, which if it was easy to use &/or intuitive, you wouldn't have [or need] millions of tips, tricks, & how-to pages online. That said, master the P/Shop [or GIMP] learning curve & you can do tons more -- that's just not where Zoner competes in the marketplace. In fact, I think Zoner's main competition comes from iOS & Android apps, along with online photo storage & services, without a PC or any Windows device involved. Some cell phones have really excellent cameras, but little or no storage, so all photos get uploaded, often to a site that offers similar organizational & oftentimes editing tools. "against CS2 Zoner 17 Pro should have a few plus points"
I agree, though I'd humbly point out that P/Shop CS2 is pretty ancient in software years -- the last non-CC version was 6, & That was years ago. "but the downside will always be that Zoner does not support working by layers." Again I agree, but purely FWIW, I'm not sure how many people appreciate how important that is until they actually start using layers. That said, I think the trend is to do organization & basic edits in Lightroom, only editing a select few in P/Shop. If you're not shooting RAW, I'd think Zoner might fill in for Lightroom, & then could use The GIMP, or the much cheaper than P/Shop, PaintShop Pro for those fewer edits where layers can be essential. Sigrid.DE, <i>"against CS2 Zoner 17 Pro should have a few plus points"</i> I agree, though I'd humbly point out that P/Shop CS2 is pretty ancient in software years -- the last non-CC version was 6, & That was years ago. <i>"but the downside will always be that Zoner does not support working by layers. "</i> Again I agree, but purely FWIW, I'm not sure how many people appreciate how important that is until they actually start using layers. That said, I think the trend is to do organization & basic edits in Lightroom, only editing a select few in P/Shop. If you're not shooting RAW, I'd think Zoner might fill in for Lightroom, & then could use The GIMP, or the much cheaper than P/Shop, PaintShop Pro for those fewer edits where layers can be essential. UPDATE... Uninstalled Zoner after it began an "endless" attempt to sort and catalog my nearly 1.5TB array of photos. I must apologize for not offering a fair evaluation of the software but when it began sorting or cataloging without me even prompting, it had to go. dMf, UPDATE... Uninstalled Zoner after it began an "endless" attempt to sort and catalog my nearly 1.5TB array of photos. I must apologize for not offering a fair evaluation of the software but when it began sorting or cataloging without me even prompting, it had to go. camera (Canon) set to RAW and Lightroom save me time and again from owning up to quite a number of photographic mishaps and whilst most of these would be equally correctable with jpgs, the loss in quality would be more noticeable because of 8bit . I too, prefer working in Lightroom's ACR to the Photoshop counterpart. As for layers: if you give somebody 3 layers of transparent paper, make them do a scribble on each one, stack the three layers, and tell them that each of the layers can be dabbled with individually, if they like, forever, they will see the benefits. But there is a learning curve to such working, by-product is it makes one a more aware photographer. However, I, too, see the benefit of software such as Zoner Studio but I would not recommend buying the upgrade just now. Affinity Photo from Serif is on it way to Win users, I see more potential there. Btw, I personally have no hesitation to use the FastStoneViewer for batch renaming, or giving a quick demo how I intend to crop, etc later in A-Ware. mike, camera (Canon) set to RAW and Lightroom save me time and again from owning up to quite a number of photographic mishaps and whilst most of these would be equally correctable with jpgs, the loss in quality would be more noticeable because of 8bit . I too, prefer working in Lightroom's ACR to the Photoshop counterpart. As for layers: if you give somebody 3 layers of transparent paper, make them do a scribble on each one, stack the three layers, and tell them that each of the layers can be dabbled with individually, if they like, forever, they will see the benefits. But there is a learning curve to such working, by-product is it makes one a more aware photographer. However, I, too, see the benefit of software such as Zoner Studio but I would not recommend buying the upgrade just now. Affinity Photo from Serif is on it way to Win users, I see more potential there. Btw, I personally have no hesitation to use the FastStoneViewer for batch renaming, or giving a quick demo how I intend to crop, etc later in A-Ware. Downloaded on win 10 64 bit. No problems at all. Zoner 17 is an excellent software. I recommend it highly. I got this on the last Giveaway. A very fine program that deserves wider appreciation. In fact, I was so satisfied that I later purchased the full version 18.
installed on win 10 64 got some dll errors sorry did not record them. reinstalled as admin. 99.9% complete then failed. running program seems to have a learning curve. the program creates backups of photos in C:\Users\xxusername\AppData\Local\Zoner\OriginalsRepository .This should be monitored for size or you could find your hard drive full. I've met with no problems either downloading, installing, activating or running the program on my Windows 7 Home Premium, though I haven't yet had time to test it, so can't speak to that as yet. I notice that under 'Settings' - 'Preferences' - 'Integration', the option 'Check for updates on system startup' is checked by default - if an update becomes available, would allowing it to update revert the software to a trial version or incur charges? I've met with no problems either downloading, installing, activating or running the program on my Windows 7 Home Premium, though I haven't yet had time to test it, so can't speak to that as yet. I notice that under 'Settings' - 'Preferences' - 'Integration', the option 'Check for updates on system startup' is checked by default - if an update becomes available, would allowing it to update revert the software to a trial version or incur charges? The option in question controls whether or not a small update checker program is run when Windows starts up. This program, if you don't choose to turn it off, checks for updates (free patches to the program) and for upgrades and announces them above the Windows system tray. The program itself also makes similar checks, in this case when you start it up. No updates, and above all no upgrades, are made automatically. The upgrade process is by its nature a buying process, and because of that, we have it set up to make it very clear that you are buying something - and it takes place on the Web, not inside the program. As for silently charging your card, we don't have a way to do so even if we wanted to, as we don't ask for your card during installation. Would like to see this available for Windows 10. Also would like to know if it can import from scanner (TWAIN) device. Roger, I have just been to the website and version 17 and 18 are compatible with Windows 10. Also a couple of versions prior have shown not incompatibility with Windows 10. Hope this info is usefull. I read it in the support area of their site. Roger, I have just been to the website and version 17 and 18 are compatible with Windows 10. Also a couple of versions prior have shown not incompatibility with Windows 10. Hope this info is usefull. I read it in the support area of their site. Try to use the compatibility mode, as I did. It worked for me. Roger, I have just used the program with Window 10 via my scanner and had no problems Roger. Roger, I've been using version 17 on windows 10 since i moved over to win 10 and it works perfectly. Thanks for the responses! So I installed on Win 10/64 with no problems at all, no errors at all. Runs perfect, no need for compatibility mode on my system. Scanned from TWAIN device, edited and saved just fine. Program loads fast, so this will be my default picture viewer/editor. What a great giveaway, thanks so much for this! This is a great product! I have 18 Pro, I purchased some time ago. Previously I was using 3 or 4 programs until I found Zoner, it did everything I was using the other programs for. Whether it's recent photos, or old ones you're trying to correct, Zoner will git'r done! Nice software. I was looking for an editor that works well with my slowish Surface 3, and this program feels surprisingly snappy, with a good interface, and perfectly capable of handling non-complicated edits. Nice software. I was looking for an editor that works well with my slowish Surface 3, and this program feels surprisingly snappy, with a good interface, and perfectly capable of handling non-complicated edits. Recommended. From the comments that i have read, this program has a high amount of praise. From the comments that i have read, this program has a high amount of praise. Can someone tell me if todays giveaway will run on windows 10, as i have a new laptop with that O.S. Vincent Andrews, I installed it on Windows 10 and it works like a charm. I often use the compatibility mode when win 10 is not listed among supported systems, and- usually- with pretty good results.